In 2007, we went to Africa and everything changed. We saw the unthinkable realities of people living without safe water and sanitation. We saw how the lack of these basic necessities was ripping apart communities and destroying families. It compelled us to investigate what opportunities existed for a design company and a production firm to make a difference. Then in 2014, we decided it was time to do something. That summer, Justin Ahrens (Rule29) and Brian MacDonald (Wonderkind Studios) rode from the Atlantic Ocean to the shores of Lake Michigan (1,207 miles) for a life-changing cause. In collaboration with Lifewater, a nonprofit working towards solutions for the world’s water crisis, the Wheels4Water ride set out to provide 40,000 people with safe water and sanitation resources for life. What no one could have anticipated was that over $90,000 would be raised and over 2,000 people would be provided with these lifesaving resources. Along the way, Justin and Brian had the opportunity to filter their water from natural water sources and spread the word about the need for safe water and sanitation. The ride sparked a movement for ordinary people to do what they could to raise awareness and funding to provide water and sanitation to people in need. Realizing that their work was far from over, Wheels4Water led a year-end campaign to raise an additional $10,000 to provide 500 more people with needed resources. 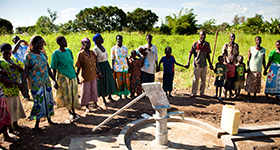 By the end of 2014, $100,000+ was raised and over 2,500 Ugandan people had received clean water and sanitation for life. 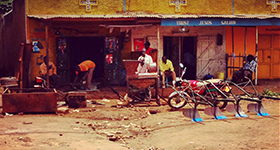 Once nicknamed “the jewel of the north,” Lira is the fourth largest town in Uganda. Its population of just over 100,000 lives approximately 215 miles north of the capital city of Kampala. Once home to over 20,000 refugees during the 20-year conflict, lead by Joseph Kony of the Lord’s Resistance Army, Lira is still struggling to recover. While the city itself lacks basic infrastructure, the people of Lira battle health problems that are intensified by a lack of clean water and sanitation. Despite great strides in economic and social development in recent decades, Uganda continues to struggle to provide safe water and sanitation to its citizens. 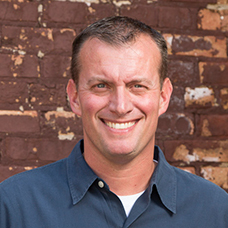 As leader of Rule29 and father of four, Justin enjoys digging into a business problem and designing a strategic solution. But he gets a bigger charge out of seeing the positive impact that solution can make – for the client and for the world. As a creative, he believes that we are built to see the world differently than most. It’s one of our unique, innovative traits. We all say we want to be a part of changing the world, but how do you actually accomplish this? 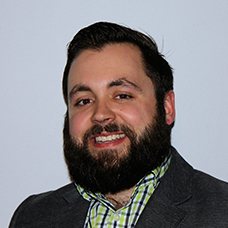 Justin hopes that, through initiatives like Wheels4Water, he will be able to make positive changes in key global issues while also transforming himself, his company, and help influence the design industry as a whole. How do we make choices that help to shift our perspective? As a visual story teller Brian uses his photography and film making at his company, Wonderkind Studios, to challenge people to look at ideas from a different view. He is in constant pursuit of that elusive moment that makes people slow down and consider a new possibility. He continually challenges himself to shift views, and honestly, quite often fails. But there have been small victories as he has been able to share the stories of incredible people struggling in unbelievable circumstances. It is for those people that he’s doing this ride. It’s his hope that we will not only raise money and awareness for clean water in communities of people in Africa, but that we shift our view to one that everyone can do something to make this world a better place. 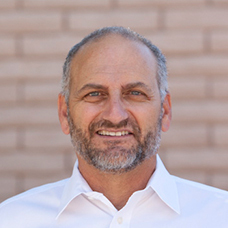 Tony has established himself as a leader in the print industry in Arizona over the course of a 35+ year career and as CEO of O’Neil Printing. Tony and the O’Neil team are not only loyal supporters of Wheels4Water and Lifewater International, but integral in the management and logistics of the rides. This year Tony is even stepping out of the support vehicle to log a few miles on his bike. 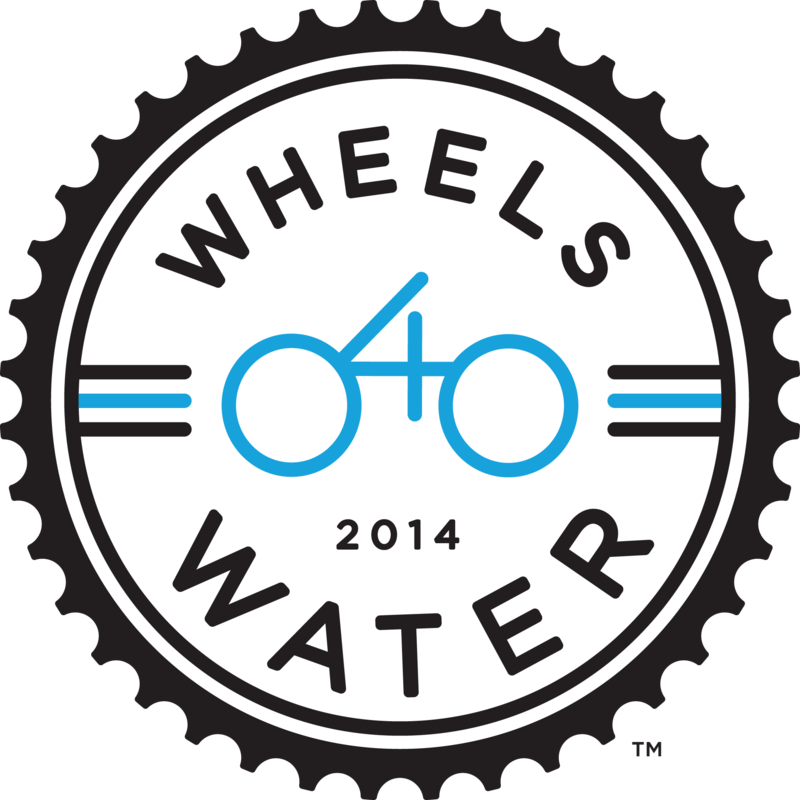 Ryan has been a member of the Wheels4Water team since 2014 and will be back in 2015 to help impact even more lives. Ryan is an incredibly strong rider and the official mechanic who ensures all the bikes of the team are perfectly maintained (especially when it comes to Justin’s daily flat tires). 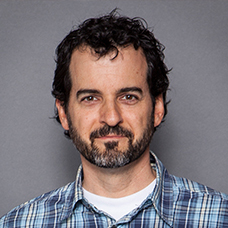 When Ryan isn’t cycling, he’s a Senior CAD Engineer at Timberland.